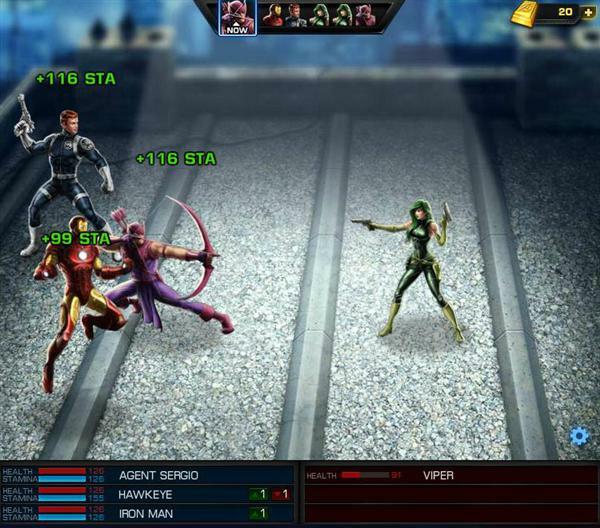 Marvel: Avengers Alliance is a new role playing Facebook Game from Playdom. 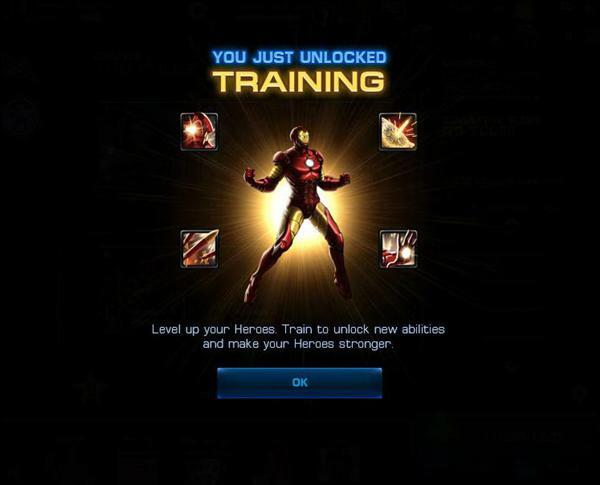 As an agent of S.H.I.E.L.D., your job is to assemble and lead a team of heroes to keep New York City safe from an unknown threat. 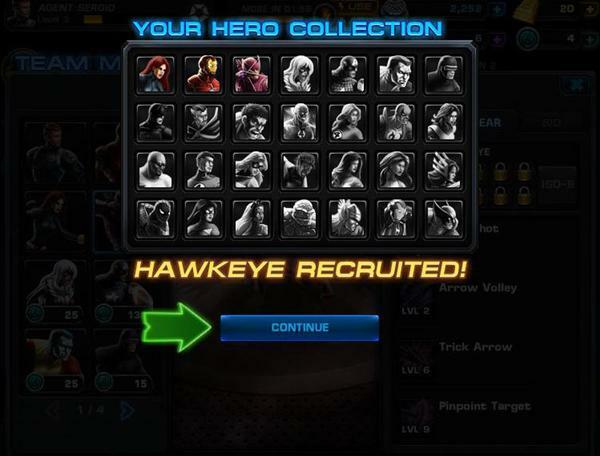 Recruit your friends as Allies to increase your power and save the world from super villains in the newest Facebook RPG, Marvel: Avengers Alliance. 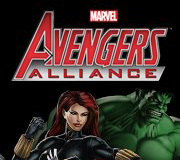 You start by customizing your agent, choosing gender, hair and face type, after which your will be introduced to the game by a series of animated dialogs, featuring several well known Super Heroes. 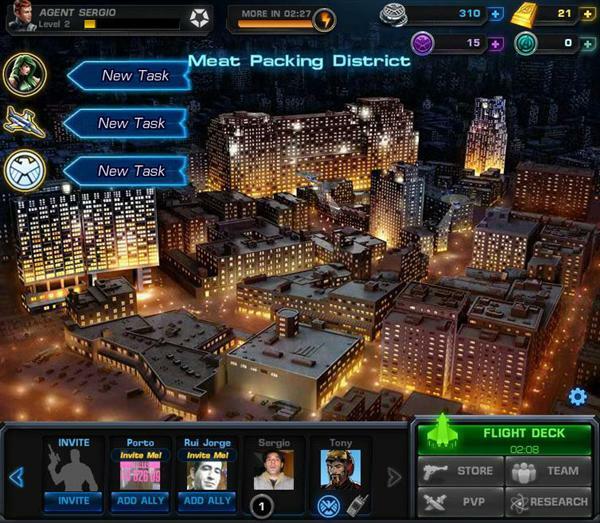 The game is divided into 4 main areas, the Missions, The Store, The Team and The PVP Area. 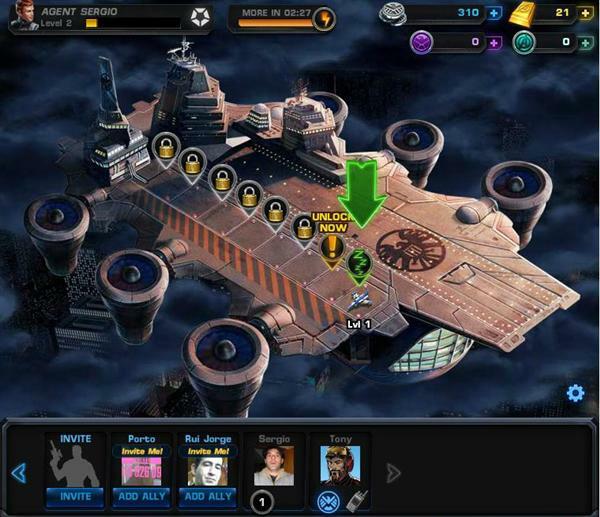 The Flight Deck acts as the home page for the game. 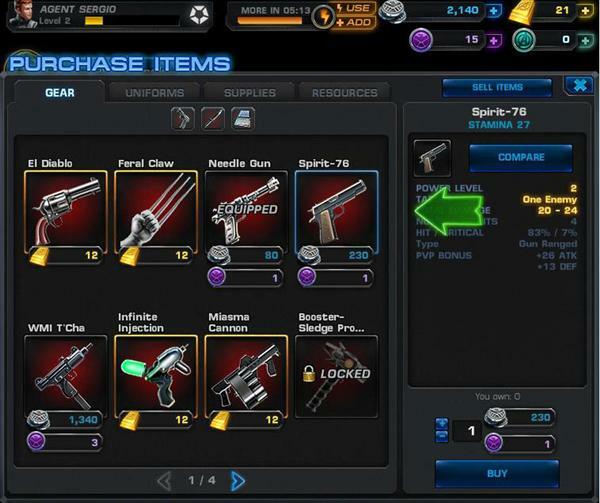 From this section, you can navigate to Missions, the Store, Team Management, PVP and Research. The Flight Deck is also where you can send heroes out on Remote Ops, which are timed missions that reward you with Silver and XP. You start with one Fighter Jet on your Flight Deck and can unlock more as you progress. 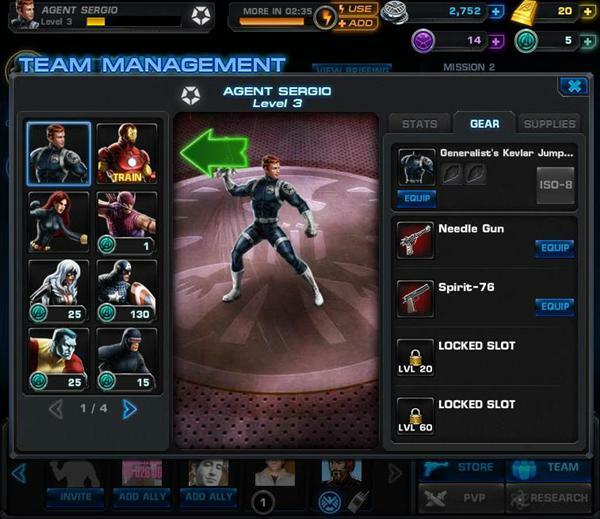 Most of the extra Fight Jet slots require you to obtain a certain level with your Agent, and when you unlock the Fighter Jets you will need friends to help you build them. Once they are built, you are free to use them at your leisure to complete Remote Ops to earn rewards. Please keep in mind, though, that when you send heroes on Remote Ops, they will not be able to be used in battle until the Remote Operation is over or you abort the mission. Additionally, Fighter Jets can be upgraded which will increase the payout of the remote operation. 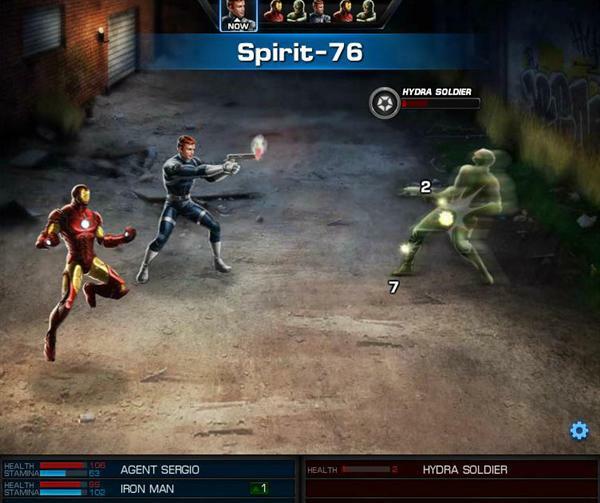 Missions are the primary game mode in Marvel: Avenger Alliance. 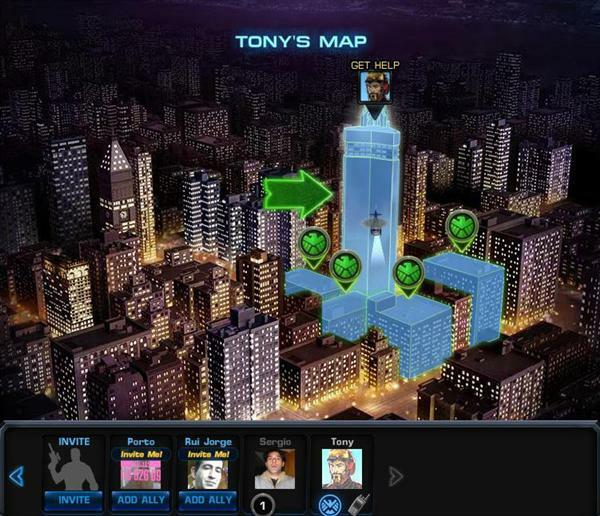 To view available Missions, visit the Flight Deck and then click on the Mission button at the lower right corner of the game. This will take you to the Missions section of the game. Missions are divided into Chapters, which you can scroll through at the bottom of the page. If you have completed a Chapter, you will see the total Chapter score at the right side of the page. To see scores for individual missions, click on the mission’s image. The Mission score will then be displayed on the right side of the page. 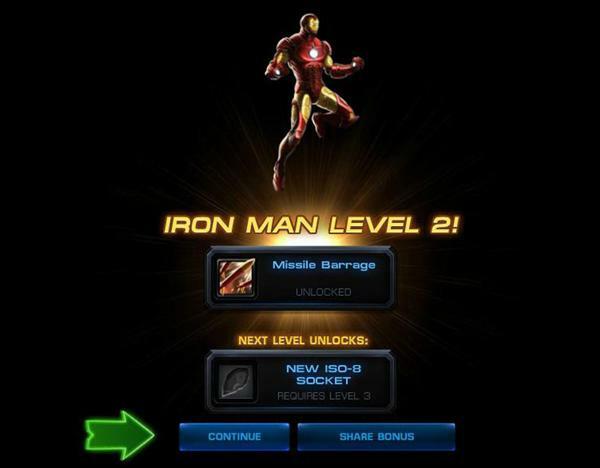 Each Mission has a six star mastery, so you will also see how close you are to mastering each Mission. 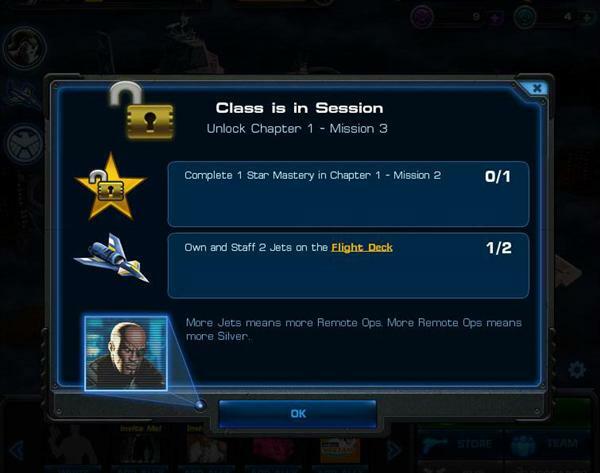 Once you master all of the Missions in a Chapter, you will receive the reward shown in the Briefing, which can be viewed by clicking the button at the top of the Missions page. At any time, you have the ability to replay earlier Missions, resume or abort your current Mission. 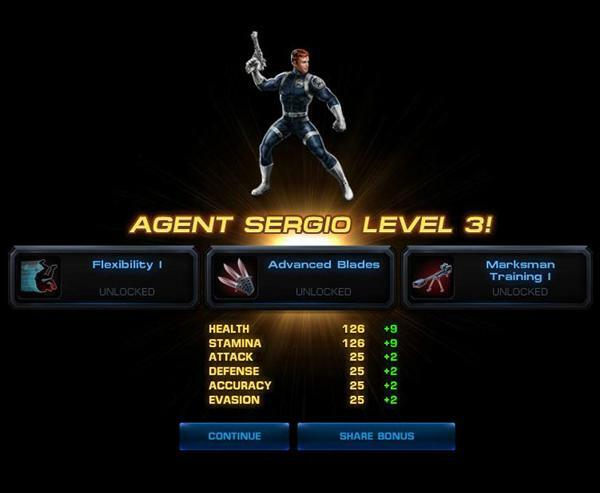 Marvel: Avenger Alliance features Quests that will often ask you to complete specific actions in the game. 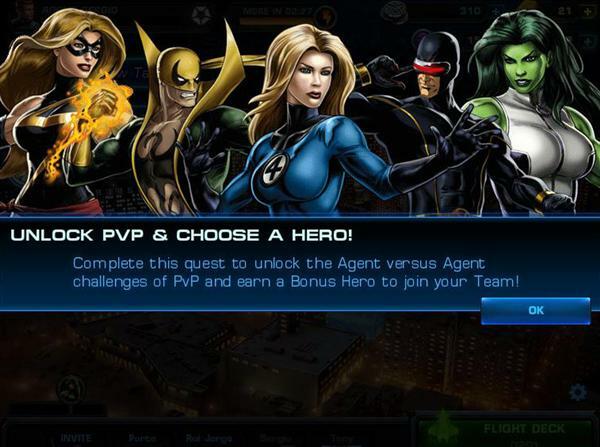 These Quests will appear on the left side of the game screen, and when you click on them you will see the requirements to complete the Quest. Once a Quest is completed, you will receive special rewards, which often include Silver and XP. More Help And FAQ can be found Here. Related Tags: Playdom, Role Playing.